SILENCE IS GOLDEN, BUT IN TEXAS IT’S RECOVERABLE! KEEP THIS UNDER YOUR STETSONS, BOYS. 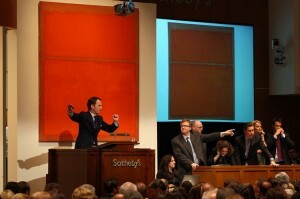 In April 2007, Dallas philanthropist, Marguerite Hoffman, sold an untitled red Rothko for $19mm to L&M Arts, a gallery. For fear of embarrassment in her own circles, Ms. Hoffman compelled L&M to exercise “maximum efforts to keep all aspects of this transaction confidential indefinitely.” She required that the piece not be displayed for, at least, 6 months after sale. torbakhopper HE DEAD.flcker; some rights reserved. Creative Commons Attribution-ShareAlike 2.5 License. L&M sought the Rothko for its uber-wealthy, international financier customer, David Martinez. L&M agreed to stay silent about the deal, and assured Hoffman that the painting would “disappear” into its customer’s private collection. But in May 2010, only 3 years later, Martinez sold the painting for $31.4 mm through a well promoted Sotheby’s auction in NY, that is, for a cool $12.4 mm profit. Congratulations, Mr. Martinez! But for Hoffman –ouch! The auction was a violation of her secrecy instruction. She sued L&M, Martinez and others in Texas Federal Court. In December 2013, the case went to trial, but the jury awarded Hoffman only $500,000. Martinez and L&M then asked the judge to disregard even those limited findings, and dismiss Hoffman’s claims entirely. On September 4, 2014, the Court approved the jury award, but then dismissed the case against Martinez. Uh – What!?! That’s right. The Court absolved the uber-wealthy financier; the very fellow who received the Rothko and who later broke silence and embarrassed Hoffman by selling it at public auction. Instead, only L&M, the gallery and the only defendant left standing in the case, had to pay those damages from the Sotheby’s auction. Maybe the rich are different. WHAT’S IT MEAN TO US? For those in the fine art business the decision is important for several reasons. The first issue was whether L&M was Martinez’s representative and agent. Hoffman and the jury thought so. If true, then Martinez was bound by Hoffman’s secrecy requirements. But the Court disagreed with its own jury, and even its earlier decisions, and ruled that there was no agency relationship. Instead, the Court ruled that Hoffman had sold to L&M, and that L&M, in an independent, second transaction, sold to Martinez. In other words, Martinez did not sign the original agreement with Hoffman. So, he was not bound by L&M’s promises to Hoffman to stay mum. Wait a second – there’s a hole in the logic! If the 2 transactions were so walled off from each other that Martinez was not answerable for L&M’s promises, why then is L&M answerable over to Hoffman for Martinez’s conduct when he broke silence? The Court, in prior decisions, criticized the communication by L&M to its customer. The Court thought that Hoffman’s secrecy mandate, though disclosed to Martinez, was not described by L&M in its full expansiveness. You see, L&M promised Hoffman that it would keep “all aspects” of their deal confidential. But then L&M only told Martinez to keep the “terms” of the Hoffman sale confidential. That’s likely an insignificant detail to a business person, but the Court felt that this omission was important. “[A]ll aspects” meant that disclosure of the mere fact of Hoffman’s sale was, itself, a breach. Hoffman’s name was not mentioned in the Sotheby’s sale but enough scraps of information were provided so that informed art industry professionals could piece the clues together to deduce that Hoffman had once owned the piece. Bingo! Breach! 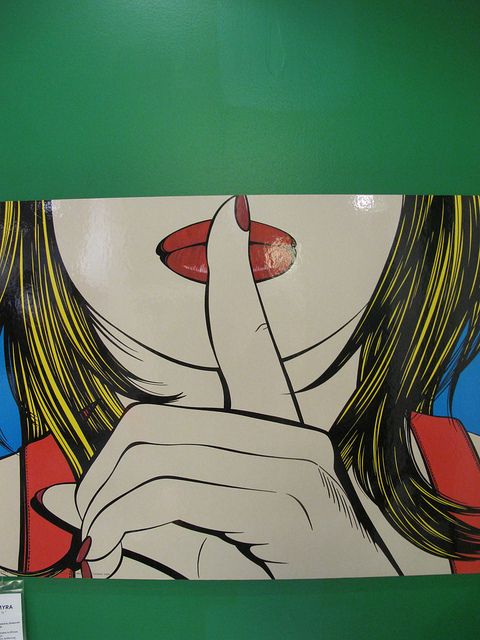 We think that there is genuine silliness in an indefinite secrecy requirement – particularly one as ambiguous as this case presents. The immutable facts are that people die, time goes on, and the Rothko would have been transferred at some later point by L&M – 3 years, 5 years, 50 years, etc. So, when does it become acceptable to break confidentiality without having to pay Ms. Hoffman? In fact, a condition of the Hoffman sale was that the piece could not be displayed for 6 months. OK – what happens after 6 months? You can bet that any display of a Rothko, even privately, is not likely to remain “confidential” from the public for long. The case cries out for reasoned appellate review. Perhaps it will come. Till then, be careful what you promise, at least in Texas!